The Beatles Through The Years: Photo of the Day: The Beatles & George Martin. Photo of the Day: The Beatles & George Martin. 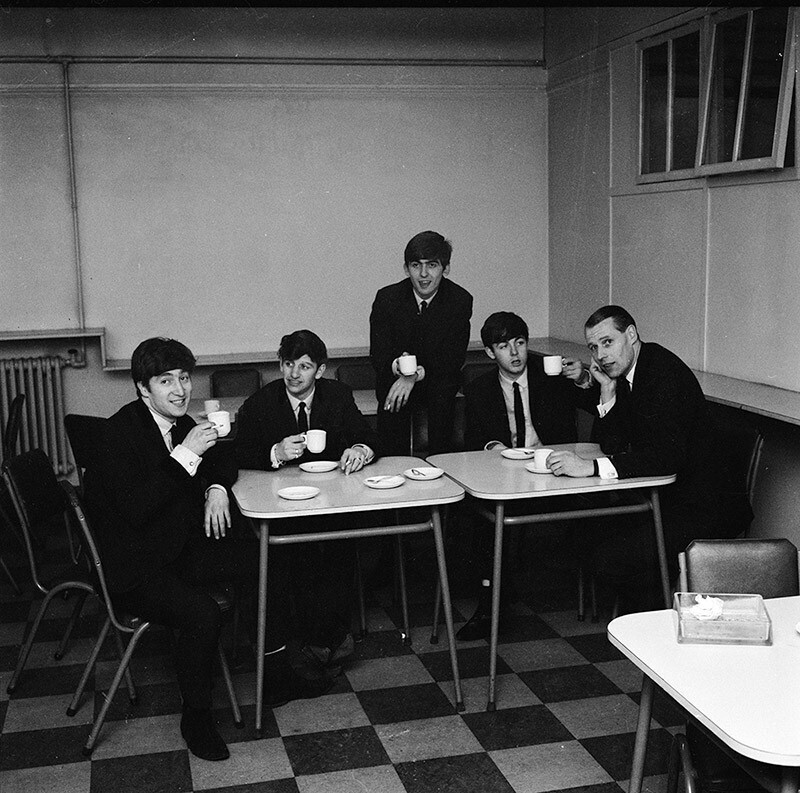 The Beatles with their producer George Martin break for a cup of tea in the Abbey Road canteen in 1963.